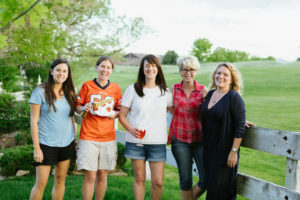 Welcome to the Junior League of Denver’s Cookbook Blog! 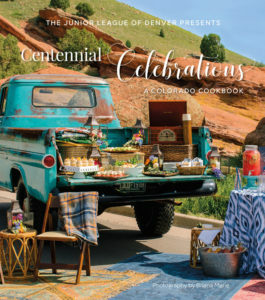 We’re officially less than a year out from the launch of our sixth cookbook, Centennial Celebrations! With more than 200 recipes and stunning food photography, this is bound to be one of our best books yet! In anticipation of the release, the Cookbook Committee decided to start a blog to post relevant content leading up to the launch party. We hope the blog gets everyone excited and encourages you to follow along with us on this journey! A lot of blood, sweat and tears went into curating the recipe collection, not to mention the testing, design, editing, marketing and sales to ensure the book lives up to the expectations of the five outstanding books that preceded it. We hope you engage with us as we post multiple articles each month with information on everything from meal prep to behind-the-scenes cookbook content. We’d love to hear from you and would appreciate any feedback! If you have an idea for an article or wish to comment on any of our posts, please don’t hesitate! We enjoy hearing from you and collaborating with you. You can reach us at newcookbook@jld.org. In the meantime, mark your calendars for Summer 2019 when you can purchase this incredible book! Presale starts in May, and we promise you won’t be disappointed to get on that list. The books make wonderful keepsakes and gifts. But if you can’t wait until May, check out our five other award-winning cookbooks and make sure you take one home today! If you would like to receive more information about Centennial Celebrations presales and release date, sign up here.